CHICAGO (August 22, 2013) – Broadway In Chicago, Troika Entertainment and Michael Coppel in association with Hilary Williams, Margot Astrachan Production/Dennis Grimaldi Productions/Paul Lucas Productions/Robert Sher and Paramount Pictures, are pleased to announce casting is complete for the first U.S. National Tour of GHOST THE MUSICAL based on the film by Bruce Joel Rubin and Paramount Pictures. The supernatural power of love is taking North America by storm as the new Broadway and West End musical GHOST THE MUSICAL, adapted from the Academy Award-winning film, will play Chicago’s Oriental Theatre (24 West Randolph) for a limited two-week engagement from Jan. 7 – 19, 2014. GHOST THE MUSICAL features Steven Grant Douglas as Sam Wheat, Katie Postotnik as Molly Jensen, Carla R. Stewart as Oda Mae Brown and Robby Haltiwanger as Carl Bruner. Featured ensemble are Fernando Contreras, Brandon Curry, Evette Marie White, Nichole Turner, Hana Freeman and Shannan E. Johnson. Rounding out the ensemble are Omar Garibay, Susan Leilani Gearou, Tony Johnson, Beth Stafford Laird, Ben Laxton, Jake Vander Linden, Michael McClure, Jack O’Brien, Andrea Rouch and Maria Cristina Slye. GHOST THE MUSICAL is part of the Broadway In Chicago 2014 Spring Season. Group tickets for 10 or more are now on sale by calling Broadway In Chicago Group Sales at (312) 977-1710. Individual tickets for GHOST THE MUSICAL will go on sale at a later date. For more information, visit www.BroadwayInChicago.com or www.ghostthemusical.com. On Wed., Sept. 11, Niche restaurant teams up with Allagash Brewing Company to host a beer tasting and exquisite pairing menu prepared by Niche’s executive chef Serena Perdue. Allagash brews a unique variety of traditional and experimental Belgian-style beers made with a dedication to craftsmanship and quality. The tasting will be led by Niche’s very own sommelier Vince Balistreri, along with Ben Iverson from Allagash Brewing Company who has pulled out a very rare ale just for the dinner, The FV 13 Wild Sour Ale which received an 100 point score from the Brothers of Beer Advocate. Allagash Brewing Company started in 1995, as a one-man operation in a small space on the outskirts of Portland, Maine. Founder Rob Tod had worked in a brewery setting before and recognized a void within the craft brewing movement in the U.S., Belgian style. Tod had sampled many of these unique beers and felt that the flavors and traditions of Belgium needed to be shared with the American drinking public. Today, Allagash has six year round beers in its portfolio, seven yearly releases and numerous one-offs and keg only releases. They have always strived to produce the finest Belgian inspired and experimental ales this side of the Atlantic. Allagash began as New England's original Belgian-Style brewery and have grown into one of the industry's most distinguished and well-respected brands. The Department of Cultural Affairs and Special Events is pleased to announce that Google has signed on as the presenting sponsor of the first Chicago Music Summit on Friday, September 20. The Chicago Music Summit is a new music industry conference that includes a full day of free panel discussions and networking, and an evening of free concerts, at the Chicago Cultural Center (78 E. Washington St.) and Storefront Theater (66 E. Randolph St.). The inaugural Chicago Music Summit sponsored by Google will provide musicians and music professionals with the opportunity to advance their careers and network with local and national industry leaders. Ranked number one in “Fortune’s Annual Best Companies to Work For in 2013,” Google leads the way as it continues to create innovative tools for success through connection, which is one of the purposes of the first Chicago Music Summit. Chicago is a global music powerhouse – activated by musicians working across multiple genres at the highest level of artistry. As part of the Music Showcases at the Chicago Music Summit, more than 20 local acts from six different musical genres will perform throughout the Chicago Cultural Center, 6:30 – 9 p.m. Begin the night in the Electronic Room at 6:30 p.m. with an all-night DJ collective by Atmospheric Audio Chair and end your night with Kembe X of the Village in the Hip-Hop Room at 8:30 p.m. During the evening, join Third Coast Percussion in the Contemporary Classical Room at 7:05 p.m. and rock out with local band Pillars and Tongues in the Rock Room at 7:40 p.m. Be soothed by the jazz stylings of The Ari Brown Quintet in the Jazz Room at 7:55 p.m. or visit Matthew Skoller in the Blues Room at 7:55 p.m. Each room will showcase between two and four acts. Every act brings something unique to the showcase and with the assortment of genres represented; there is truly something for everyone. The daytime Industry Panels portion of the Chicago Music Summit is at capacity and registration is now closed. A limited number of badges will be available on a first-come, first-served basis beginning at 8:30am on the day of the event. The evening Music Showcases are FREE and open to the public; registration is not required. A full line up is listed below. The music plays on around town at neighborhood venues showcasing the city’s finest independent music acts. Admission info and ticket prices vary. Please check venue websites for details. For tickets and info, visit chopintheatre.com. For tickets and info, visit doubledoor.com. For info, visit dragonflymandarin.com. Tickets at door only. For tickets and info, visit hideoutchicago.com. 6 p.m. Fareed Haque & Flat Earth Ensemble perform "Hymn of the Ancients"
Presented as a part of World Music Festival Chicago and the Latino Music Festival. Free admission. For info, visit martyrslive.com. 9:30 p.m. The Scientist Meets Ted Sirota’s Heavyweight Dub with special guests Shinehead & General Jah Mikey. Presented as a part of World Music Festival Chicago. For tickets and info, visit maynestage.com. Use Promo Code “SUMMIT” for $5 off admission. For tickets and info, visit nationalpastimetheater.com. For tickets and info, visit reggieslive.com. For tickets and info, visit smartbarchicago.com. 9 p.m.-1 a.m. Dub Dis featuring DJ Papa G (Reggae/Dancehall). Hosted by Mr. Greenweedz. FREE admission. For info, visit theshrinechicago.com. For more information and updates on the Chicago Music Summit, visit chicagomusicsummit.org. The Chicago Music Summit is sponsored by Google with the added support of ChicagoMusic.org, ChicagoArtistsResource.org, City Winery, CIMMfest, Hailo, The Engineering and Recording Society of Chicago (E.A.R.S. ), Fort Knox Studios, Inspiration 1390AM, The Recording Academy, V103, WGCI and WBEZ. If you're a fan of pecans, you'll go nuts about two upcoming holidays. Tuesday, August 20 is National Chocolate Pecan Pie Day. 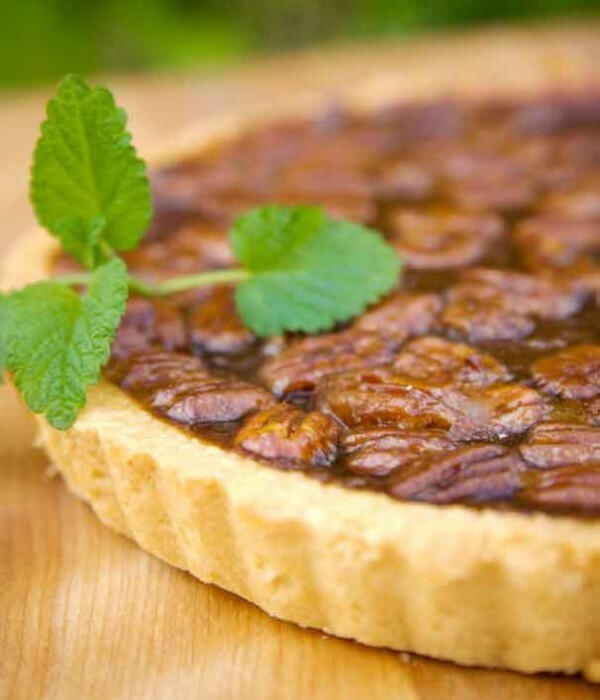 And, if that isn't good enough, Wednesday, August 21 is National Pecan Torte Day. Here's a tidbit that will pique your interest. Did you know that pecans contain zinc, which boosts testosterone? Zinc is the reason people think oysters are aphrodisiacs. We bet you're in the mood for a slice now! Not just for Thanksgiving, pecan pie is a Southern staple and for good reason. There's nothing quite like the smell of its warm, buttery crust and gooey, nutty center coming out of the oven. Whatever the history, it holds a well-deserved spot on your dinner or lunch menu. Delightful Pastries' gives it a welcoming twist, adding bittersweet chocolate and bourbon to make a perfect pie for any occasion. Founded in 1989, the Delightful Pastries is family-owned and operated, and is one of Chicago's most beloved bakeries. The partnership includes mother Stasia Hawryszczuk, who manages the original Jefferson Park location with her daughter Dobra Hawryszczuk Bielinski. Dobra also oversees the Old Town location, and her brother Robert Hawryszczuk, along with his wife, Nico Hua, operates the Chicago French Market location. CHICAGO, IL (August 19, 2013) – Cinema/Chicago and The Chicago International Film Festival, the oldest competitive film festival in North America, are proud to announce the first 21 feature-length and short films, a preview of the more than 150 films that will be presented during the 49th Chicago International Film Festival, October 10 – 24, 2013. The line-up includes a richly diverse array of films from the United States, Latin America, Africa, Asia, the Middle East and Europe. Film stills from select titles can be downloaded here. Big Bad Wolves (Directors: Aharon Keshales, Navot Papushado • Israel): When the lead suspect in a brutal child murder is released due to a police blunder, a vigilante police detective and a grieving father take the law into their own hands in this fantastically intense, darkly funny revenge thriller from one of the pioneers of Israeli horror cinema. Blue is the Warmest Color (Director: Abdellatif Kechiche • France): Teenager Adèle's life is turned upside down the night she meets blue-haired Emma in this scandalous winner of the top prize at Cannes. Adèle's passionate sexual awakening and the couple’s ensuing relationship - spanning several years - are depicted in searing, intimate detail with sharp, controlled direction and breathtaking performances from the two leads. Elaine Stritch: Shoot Me (Director: Chiemi Karasawa • USA): A ferocious, funny and poignant portrait of the one-of-a-kind Broadway legend as she reaches her 87th year, “Elaine Stritch: Shoot Me” showcases the brash, uncompromising Tony and Emmy Award-winner both onstage and off. Stritch's inimitable personality is on full display in this hilarious, affectionate tribute. The Girls on Liberty Street (Director: John Rangel • USA): A teenager on the verge of leaving for the army, Brianna spends her last week at home trying to mend tensions with her friends and family. Eschewing melodrama, the film imbues this simple story with a deft style and effortlessly natural performances, creating an assured portrait of a young woman in transition. Grigris (Director: Mahamat-Saleh Haroun • Chad): Despite a paralyzed leg that keeps him on the fringes of society, Grigris comes alive at the local nightclub, tearing up the dance floor every night. When a relative falls critically ill, the desperate Grigris turns to black market kingpin Moussa to pay the hospital bills and soon finds himself in over his head. Heli (Director: Amat Escalante • Mexico): In a misguided attempt to finance his elopement with 12-year-old Estela, police cadet Beto steals two large packages of cocaine, setting off a string of increasingly violent consequences for him and for Estela's family in this unflinching look at the cycle of drugs and violence in contemporary Mexico. The Inevitable Defeat of Mister and Pete (Director: George Tillman • USA): During a sweltering summer in New York City, 13-year-old Mister's hard-living mother (Jennifer Hudson) is apprehended by the police, leaving Mister and his nine-year-old brother Pete alone to forage for food while dodging child protective services and the destructive scenarios of the projects. “The Inevitable Defeat of Mister and Pete” is a beautifully observed, moving film about salvation through friendship. Like Father, Like Son (Director: Kore-eda Hirokazu • Japan): The lives of success-driven architect Ryota and his shy wife Midori are turned upside down when they discover that, due to a hospital mix-up six years earlier, their son Keita is not their own. The foundations of their identities as loving parents begin to crumble as they meet their biological child. The Missing Picture (Director: Rithy Panh • Cambodia): How do you document a genocide when no footage of the atrocities exists? Rithy Panh attempts to answer this question in this Cannes prize-winning film recounting a childhood under the Khmer Rouge, illustrating his memories with hand carved clay figures. This innovative documentary explores the intersection of historical memory and the power of images. Monsoon Shootout (Director: Amit Kumar • India): As heavy monsoon rains lash Mumbai, rookie cop Adi raises his gun to a criminal and must decide whether or not to pull the trigger. “Monsoon Shootout” presents three alternate scenarios, each sending Adi spiraling on a downward journey that pits him against fate and a system that presents a quagmire of moral ambiguity. My Sweet Pepper Land (Director: Hiner Saleem • Iraq): A godforsaken border town in newly-autonomous Kurdistan serves as the setting for this Western-inspired tale of justice and honor. Both Baran, a former Kurdish independence war hero, and Govend, a beautiful young woman defying tradition to become a teacher, are determined to see order and civilization restored to their damaged country. The Priest's Children (Director: Vinko Bresan • Croatia): Troubled by his small island's rapidly dwindling population, the dogmatic young Father Fabijan sabotages the town's birth control. Soon the picturesque island town is awash with pregnant women, and the absurd unintended consequences of the plan begin piling up in this irreverent, hilarious dark comedy. Salvo (Directors: Fabio Grassadonia, Antonio Piazza • Italy): Mafia hitman Salvo is solitary, callous, and ruthless. His deep-rooted cold-bloodedness is tested, however, when, on his latest job, he discovers his target's sister, a blind woman named Rita. Disturbed by her unseeing stare, Salvo spares her life, fully aware of the inexorable consequences of this ill-fated choice. Under The Rainbow (Director: Agnès Jaoui • France): “Look At Me” writer-director-star Agnès Jaoui returns with a witty, charming, modern day mélange of familiar fairy tales. When young Laura meets Sandro at a party, she thinks she may have met her Prince Charming. And then she meets Maxime. Laura must choose between them as they, and their families, deal with the tragicomic realities of romance. Walesa: Man of Hope (Director: Andrzej Wajda • Poland): Legendary director Andrzej Wajda tells the inspiring story of Lech Walesa, Nobel laureate and Poland's first post-Soviet president. The charismatic Wałesa rises from the shipyard to union leadership and becomes the voice and face of the growing solidarity movement, standing up to the feared Soviet Union and leading Poland's fight for independence. Die Welt (Director: Alex Pitstra • Tunisia): In the summer of 2011, Tunisia is finally free of its dictatorial shackles, but 23-year-old Abdallah still dreams of escaping to Europe. Following a chance encounter, Abdallah's passion to reach the other side of the Mediterranean burns brighter than ever before, prompting a desperate gamble for escape. Will You Still Love Me Tomorrow? (Director: Arvin Chen • Taiwan): Introvert Weichung's measured life as a family man is shaken when a chance encounter revives feelings from his long suppressed gay past, forcing him to choose between love and security. Fantastical flourishes color this bittersweet romantic comedy that is all at once wise and funny in its exploration of formal notions of family, sexuality, and friendship. Led by Presenting Partner Columbia College Chicago, the 49th Chicago International Film Festival's sponsors include: Official Airline - American Airlines; Headquarters Hotel - JW Marriott Chicago; Producing Partners: AMC Theaters, The Academy of Motion Picture Arts and Sciences; Major Partner: Intersites; Supporting Partners: DePaul University School of Cinema and Interactive Media, Stella Artois, WBBM Newsradio 105.9, Shutterbox Entertainment, Cultivate Studios; Participating Partners: State Farm, AARP, Tres Generaciones®, Second City Computers, Gibson’s Restaurant Group, Creative Technology. Chicago's Kellie Madison selected as one of 20 film director finalists in Canon’s Project Imaginat10n for her short film entry, “THE CAUL"
Kellie Madison, originally from Chicago, IL has been selected as one of 20 film director finalists in Canon’s Project Imaginat10n for her short film entry, “THE CAUL.” Next up - Academy Award Winning Director, Ron Howard and his daughter, actress, Bryce Dallas Howard, will be screening the films and select five shorts to premiere at Canon’s Project Imaginat10n Film Festival this Fall. Canon’s Project Imaginat10n, helmed by Ron Howard, is a user-generated contest to inspire short films and showcase the endless possibilities of creativity. Five celebrity directors also took part in this exercise and went behind the camera to direct: Eva Longoria, Jamie Foxx, Georgina Chapman (designer of Marchesa), James Murphy (former frontman of LCD SOUNDSYSTEM) and Biz Stone (co-founder of Twitter). Kellie Madison is 37 years old and a Writer/Producer/Director based in Los Angeles, CA. She has worked on multiple short films including, "Bathtub Picnic" and also wrote and produced the feature film, "Dear Mr. Gacy." She shot her Project Imaginat10n film, “THE CAUL” in just three days using a Canon C300 camera. Please find a press release below and let me know if I can provide any additional information or put you in touch with Kellie.
. We know you have a lot of choices when dining out, so we thank you for flying Tokio Pub!